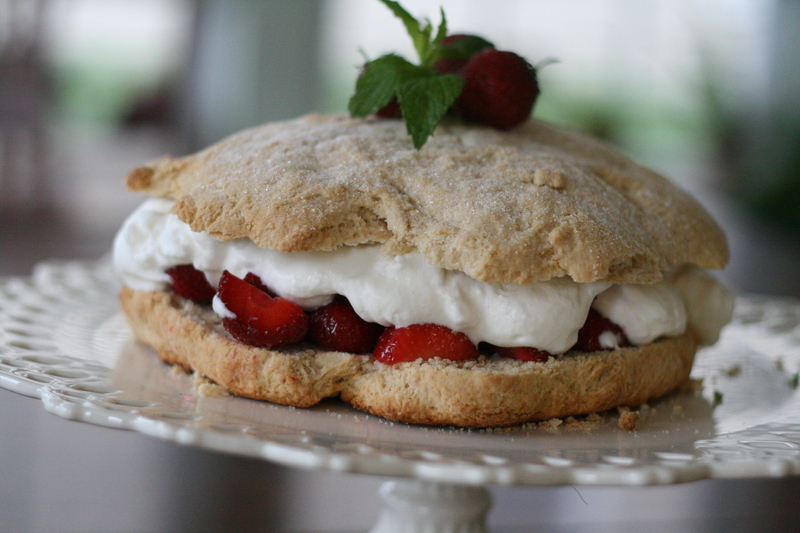 Mostly I buy strawberries to make one of my favorite desserts ever: strawberry shortcake. It's a simple dessert, and low in sugar, not to mention that it tastes so good and reminds me of my childhood. There are so many ways to use strawberries: eaten plain, on top of cereal, frozen and in a smoothie, sliced into green salads, dipped in chocolate, and made into jam. If you want something a little different from the ordinary strawberry shortcake, why not try one of these giant strawberry shortcakes! Preheat oven to 400F. Whisk together flour, sugar, baking powder and salt. Cut butter into flour mixture and work with hands until mixture resembles fine crumbs. Stir in milk just until blended. Bring dough together and place on a floured surface. Knead 20 to 25 times. Pat dough out into a round about 3/4-inch thick and place on a greased cookie sheet. Bake until golden brown 10-15 minutes. Cool on a rack. 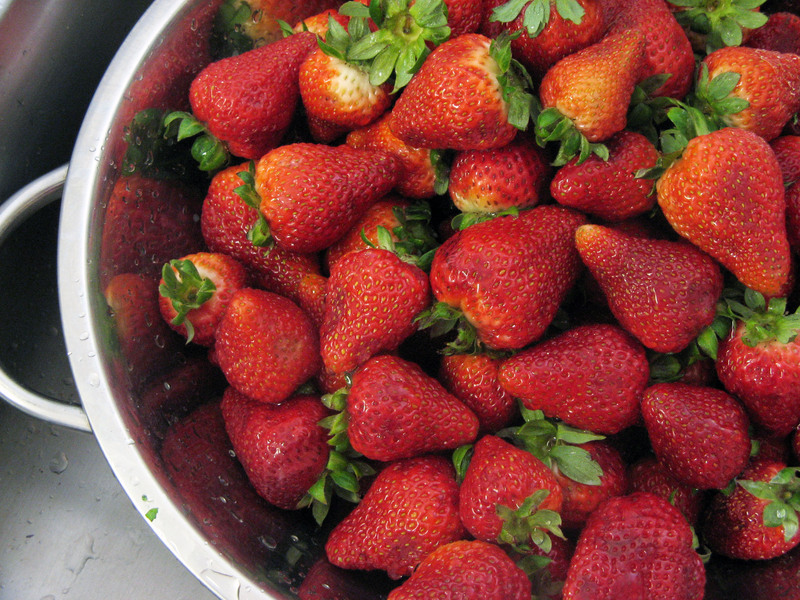 Meanwhile, slice the strawberries and mix with the granulated sugar, leaving at room temperature so they develop juice. Beat the whipping cream with the powdered sugar and refrigerate until needed. 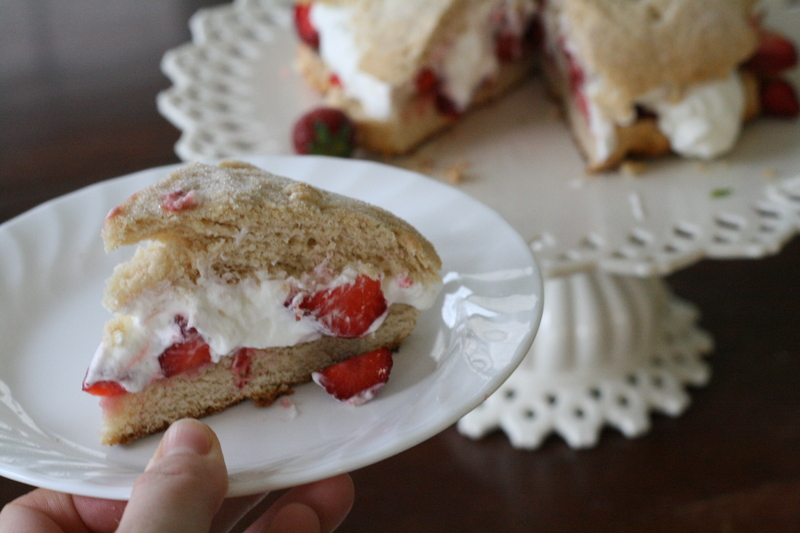 Once shortcake is cool, carefully slice it in half with a long, serrated knife. Assemble the shortcake just before serving so it doesn't get too soggy. Pile the strawberries onto the bottom half and then top with whipped cream. Carefully place the top half on top of the whipped cream. 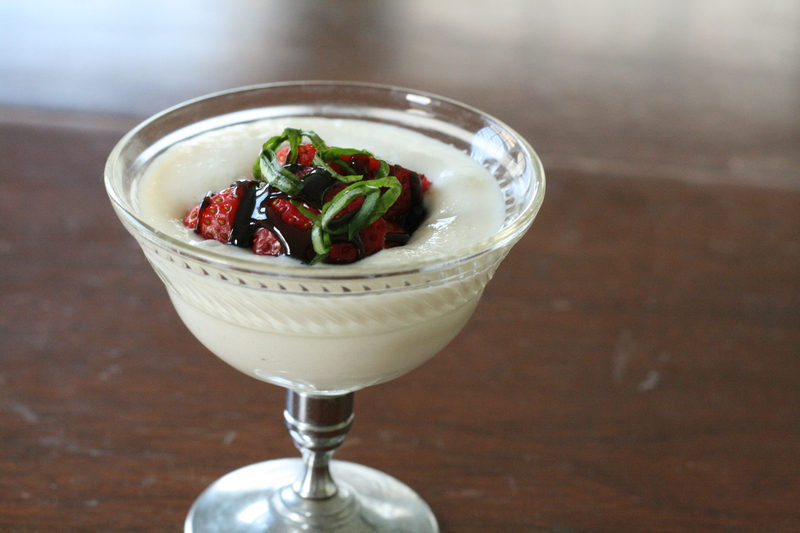 It's always good to try something different and here's an idea for a light, gluten-free, strawberry dessert: Balsamic Strawberries with Ricotta Cream. In a small saucepan combine the vinegar and sugar and bring to a boil. Simmer over medium heat for 2 minutes, stirring occasionally (next time I will try 1 minute as 2 minutes made the syrup go hard when it cooled). Allow to cool completely. Karen made this shortcake (with blackberries) for dessert last Sunday, it was soo yummy!